There was an earthquake in my area last night at about 3:30 am. The center was about 1 hour north of my home in the SF Bay Area in Wine Country, the Napa Valley. I adore Napa and I hope there wasn’t too much structural damage though it has been declared a state of emergency. I did see too many wineries with bottles and barrels smashed on the floor, my heart goes out to the smaller businesses which, no doubt are taking a major financial hit from this 6.1 quake. I find myself grateful the quake wasn’t further south, with a magnitude that high, there would’ve been so much damages and fear in my area and I realized as I rode out the quake sitting up on my bed that my family and I aren’t prepared. It’s a reminder to be more prepared for natural disasters and I think I’ll put together a kit of us sometime this week. I have no idea what to include, I suppose I’d better get on it and research what’s recommended! Saturday lunch, I felt like cooking, so I made it a point to wake my sleeping body up early on my off weekend and get to the market early. I wasn’t sure what I wanted to make yet, so I cruised the Asian market’s veggie aisle looking for whats good and fresh. 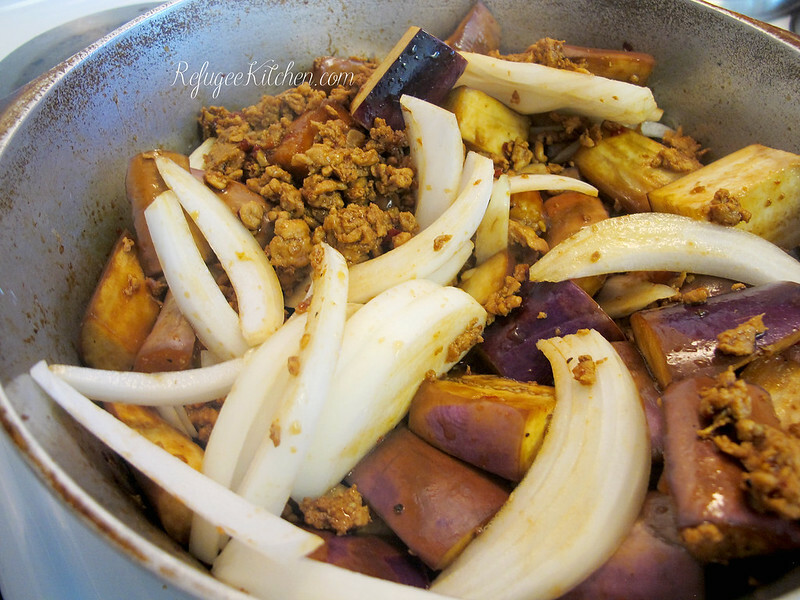 The eggplants were looking quite nice in their large pile of glistening purple skin. 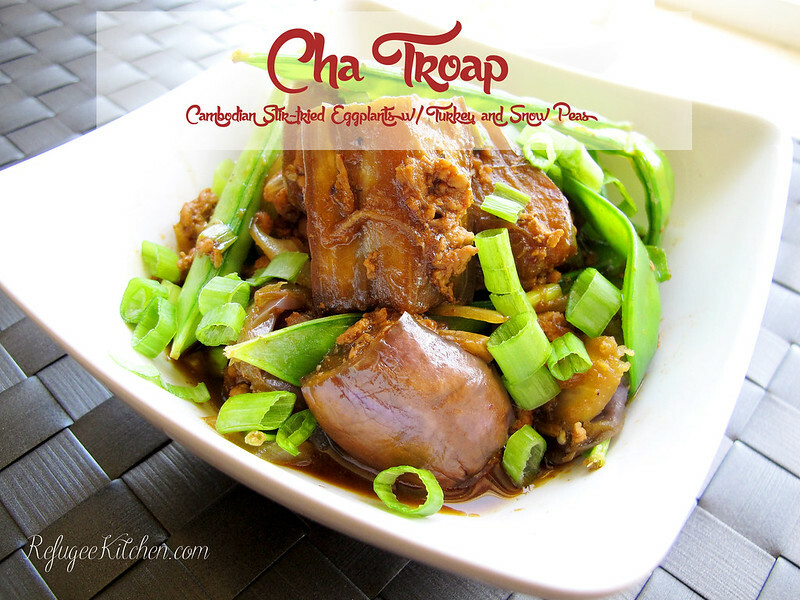 Cha Troap it is! 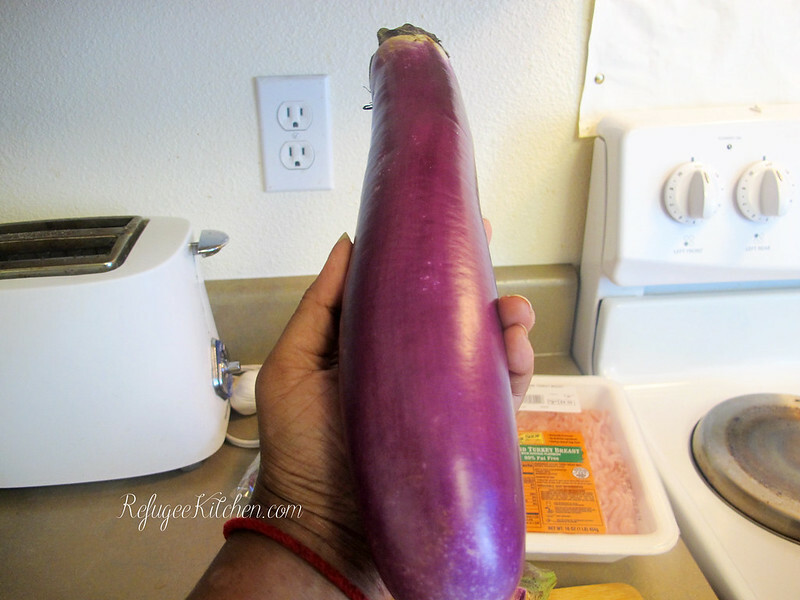 I’m a lover of eggplants, but not all eggplants are created equal. 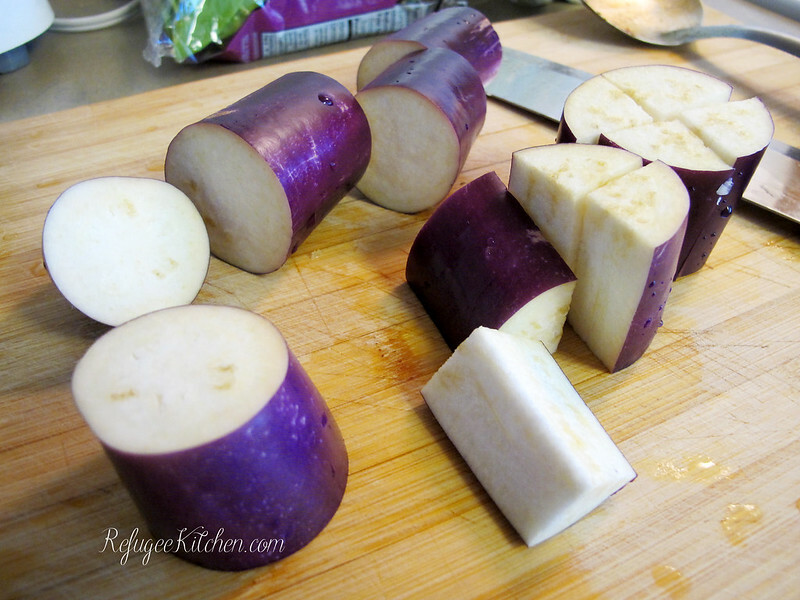 I grew up with the Chinese variety, long skinny eggplants with a much thinner bright purple skin. It also has fewer seeds resulting in a less bitter eating experience and cooks super fast. 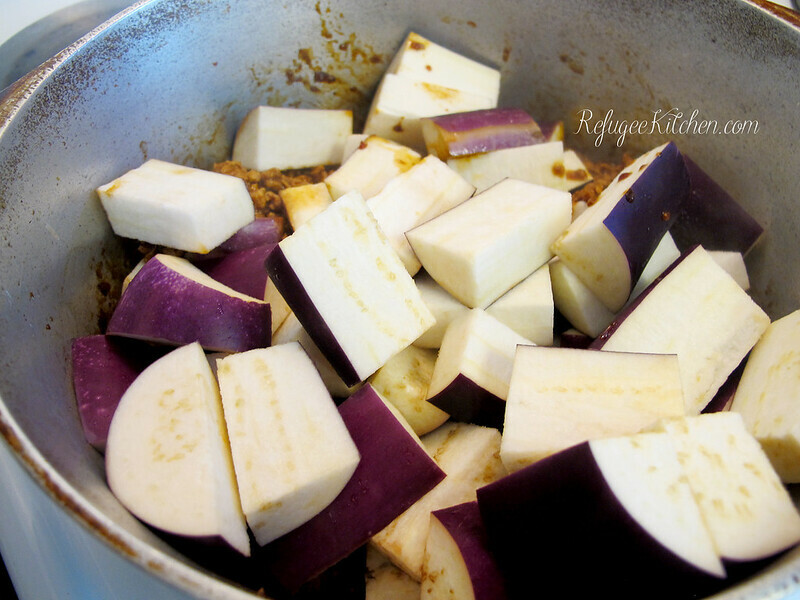 I still love the fat dark-skinned American version at times, but for stir fries, I will always choose the Chinese eggplants. 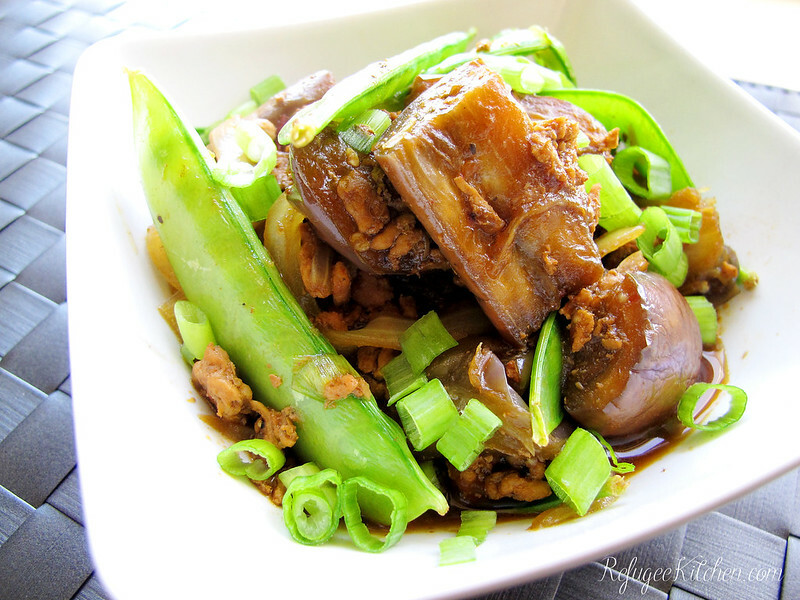 Quickly cooked in simple stir fries is the best application in my opinion for it, I don’t like how slimy and goopy it can get when braised for a long time. I like the integrity of a firm and well seasoned flesh, best part is, you don’t have to peel the skin! 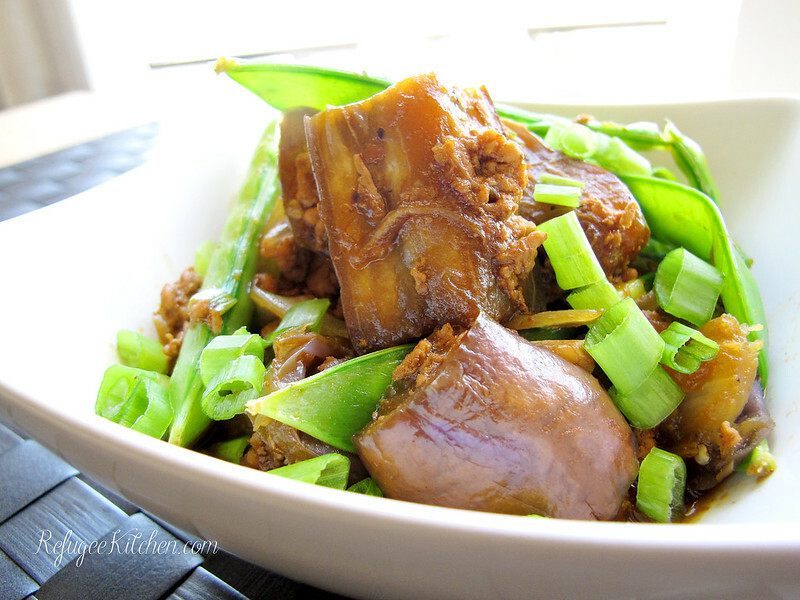 Cha Troap or Stir Fried Eggplants traditionally contains a dark sauce made of oyster sauce and ground pork for flavor. I grew up on the traditional version and still love it to this day. 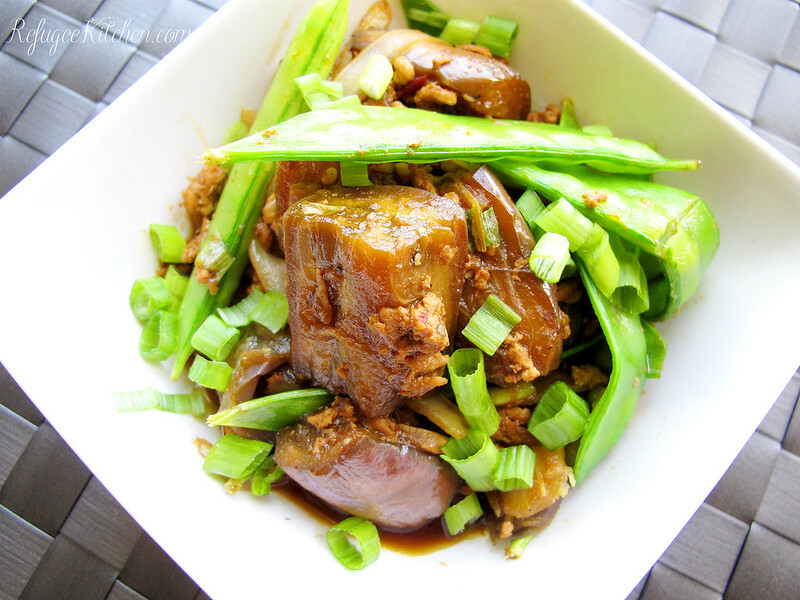 Though on my journey to healthier eating, I’ve lightened this version for our Saturday lunch. 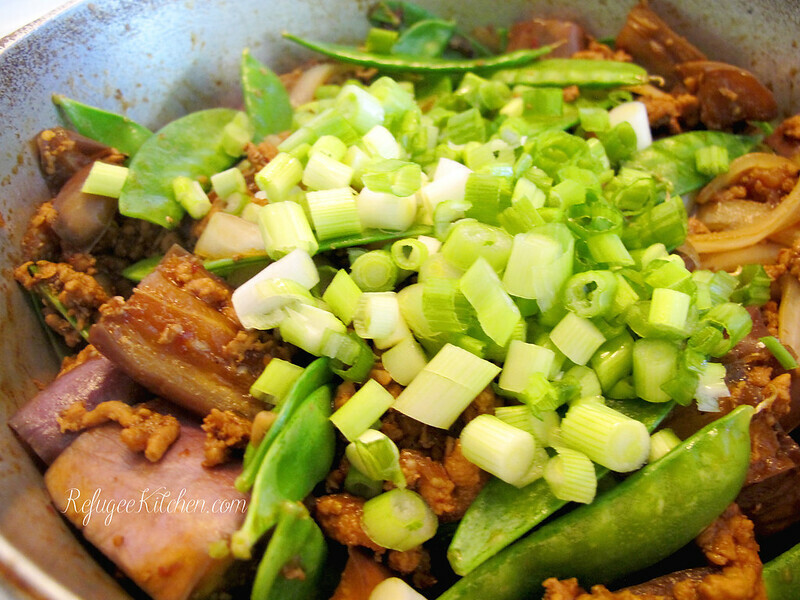 Firstly, adding extra vegetables, in this case snow peas; oh how I adore snow peas, so crisp and fun to eat. 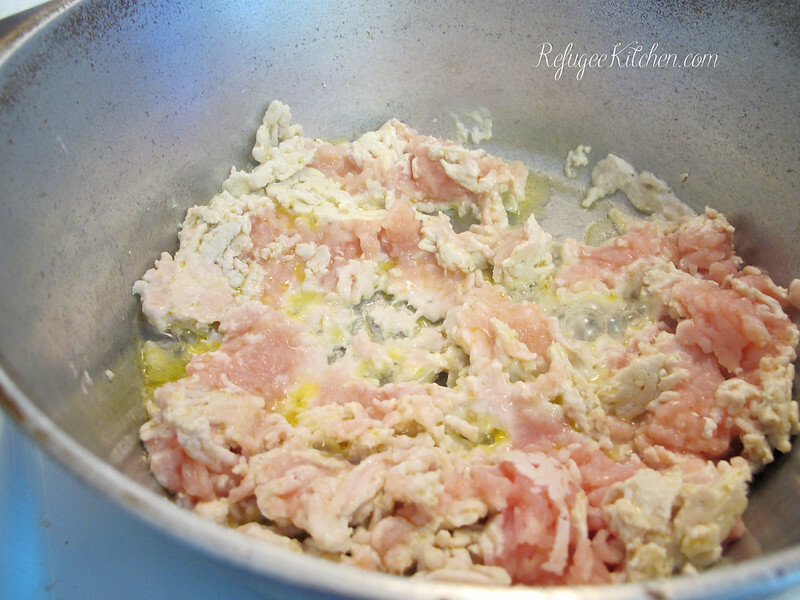 I also replaced fatty ground pork with a 99% fat-free ground turkey, no one noticed the sub! 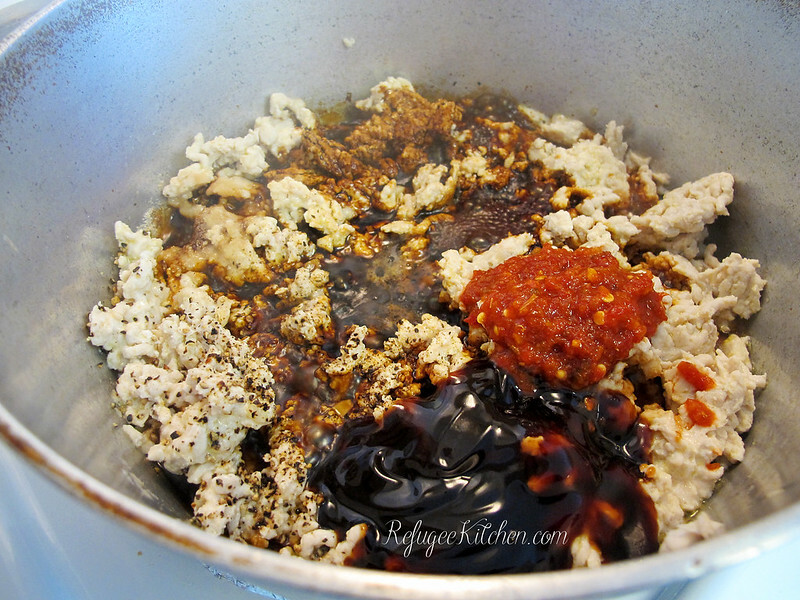 With so much flavor in the sauce, it’s really easy to hide a more bland meat in the mix. Let’s face it, turkey no matter how good for you is no pork! 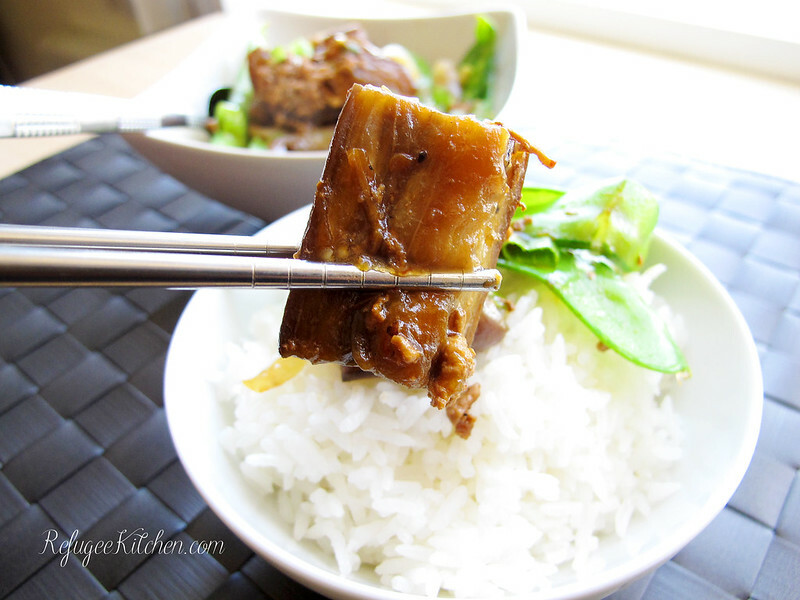 I also added shaoxing rice wine, which isn’t normally in traditional Cambodian cooking, but I like the way it breaks down the meat, especially in such a quick stir fry. For the past few months, I’ve replaced most of my refined sugar intake with raw honey, it gives a different flavor profile versus sugar, but I love honey and adore the complex sweetness it lends to my cooking. 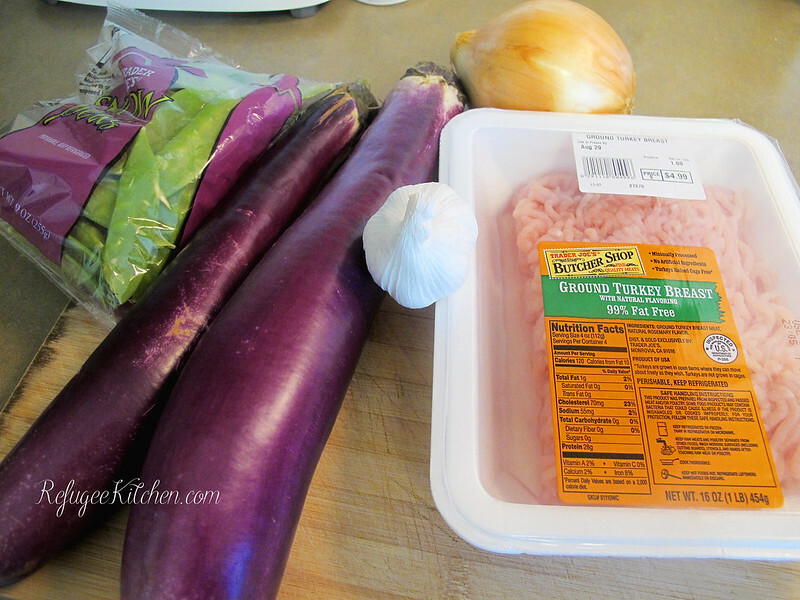 Tender pieces of eggplant, crisp snow peas, good for you turkey and a lovely sauce. 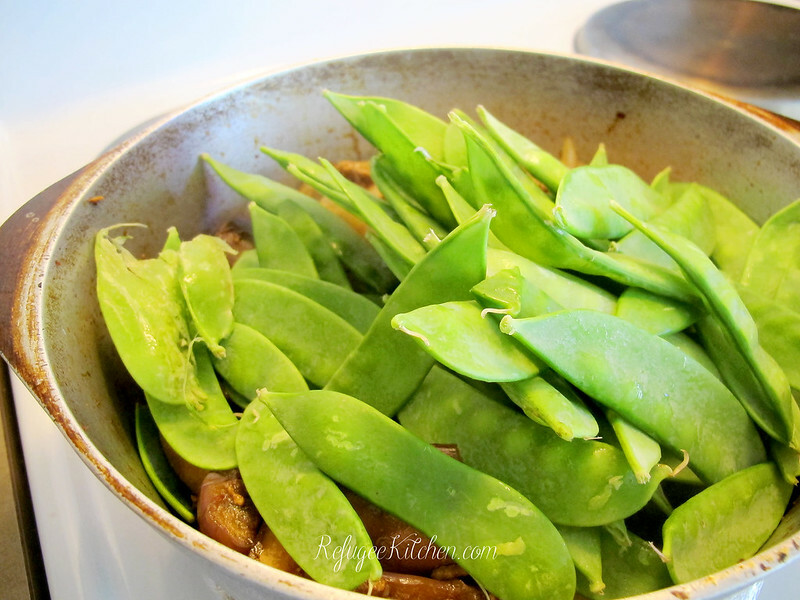 Eating right is easy when foods are full of flavor and super easy to cook! Am I right!? Hi Little, thank you! 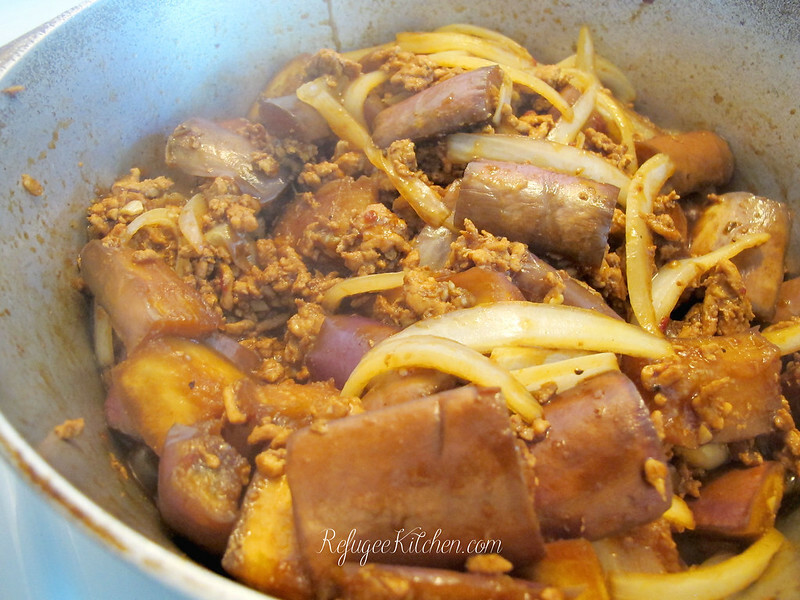 I have to get back to posting properly, summer is just so busy, I’m planning on more regular posts this fall and yes, more Khmer recipes!